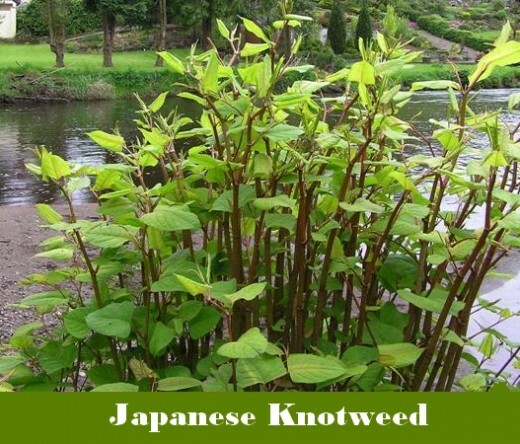 Japanese Knotweed is a nasty weed that is almost impossible to get rid of without a lot of time and effort. Once you have Japanese Knotweed on your property, you can find it impossible to seel your house without finding a cash buyer or going to auction. It can take 2-3 years of careful attention to eradicate Japanese Knotweed, including waiting for the right time, the right weather - and then checking. Depending on where your problem weed is, how much you've got and where it's come from, you've a varying opportunity to get rid of it once and for all, or struggle to keep it under control if adjoining landowners aren't taking their responsibilities properly. Originating in Japan, North China, Korea and Taiwan, Japanese Knotweed is widespread and found across the world, in some states of the US (but not all), the UK, Ireland, Europe, New Zealand .... it was originally imported as an ornamental planet and by the time the problems with it were discovered it was too late to eradicate it! It is a problem in all these countries! Why is Japanese Knotweed So Hard to Remove? Japanese knotweed is virtually indestructible. It's as if it's an alien life-form. If you cut it up, then each piece can spawn new plant growth. If you discover Japanese Knotweed at one end of your garden, cut it down, chop the roots up, then carry it along your garden and drop a few bits and pieces, each of those could spawn a new outcrop! That is why Japanese Knotweed is so hard to remove - because you have to be so meticulous! If you cut the roots, each one produces a new stem. You have to make sure none sticks to your feet too - even changing shoes to keep the Japanese Knotweed confined. Even digging around the roots area can stimulate the roots into fresh growth. For these reasons, it's important to take steps to eradicate Japanese Knotweed properly - so the land is clear of it entirely. Of course, one of the problems of this is that you might have been contaminated by a neighbour's garden, or public land, in which case you can keep your garden clear, but have no control over the further contamination. In the UK Japanese Knotweed cuttings must be disposed of at a licensed landfill site that can carry out "deep burial". You can't simply drop it off with other garden waste. There are some specific laws in the UK that cover knotweed. Once you know you have Japanese Knotweed on your land, you have a legal obligation to get rid of it responsibly and propertly. It can be dealt with on site, or you can remove your cuttings to a licensed site. Japanese Knotweed material is ‘controlled waste’ and not disposing of it properly is an offence under the Environmental Protection Act, 1990. If you allow Japanese Knotweed to spread into the wild it is an offence under the Wildlife and Countryside Act 1981. Specifically Schedule 9, Section 14. It is also an offence to plant Japanese Knotweed. Most people trying to eradicate Japanese knotweed can see exactly where it's coming from. A neighbour's garden, common land, railway land and similar. 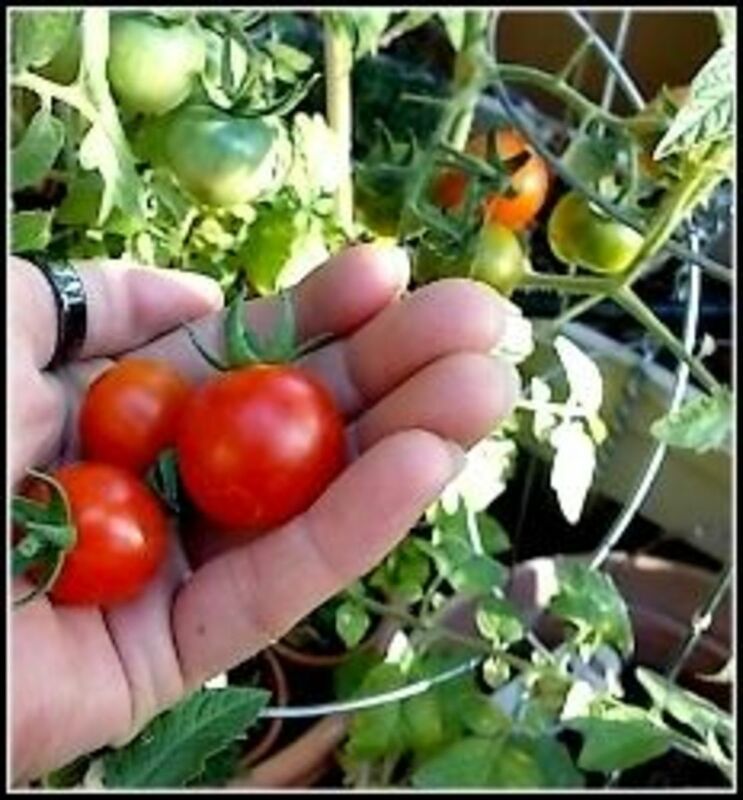 You really need to get them to take it seriously too else you will find you never reach the stage where your garden is free as you'll be continually re-contaminated. Getting rid of the roots. Cut the knotweed and spread it out on a plastic sheet to dry. Cut it carefully - not using any tools that will cause it to fly around (e.g. strimmers, scythes etc). Drying it thoroughly is the only safe way to treat these cut parts, so they don't regrow. The essential part here is to keep them away from the ground, so they don't have the chance to grow/spread. Make sure you clean all your tools, clothes, boots immediately so that not one stray piece moves from the site. Over the next few days, keep checking that the knotweed hasn't moved, and isn't growing. Once fully dried, you can burn it - unless you live in a Smoke Free Zone, or where bonfires are prohibited. That just leaves the roots, which will need to be killed in order to prevent them from spreading or growing again. You can use the drying/burning method for the roots, the problem with this is that you have to ensure you have ALL the roots out as any small/stray parts will regrow. Digging around the roots to dig them out will stimulate them, so any stray ends are more prone to regrowth. If you want to spray Japanese Knotweed that is close to waterways, streams and rivers, then you will need Environment Agency permission to do so as the chemicals have the potential to contaminate the local water. Be careful what else you are spraying on/near. Spraying can only kill the leaves/stems, not the roots. You might need Environment Agency approval if you're spraying near water. Some plants are 10-12' or more high - making spraying tricky and more dangerous. 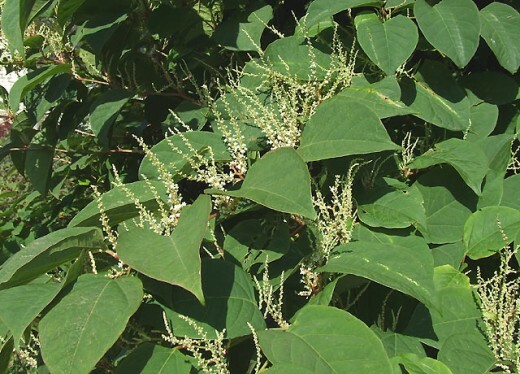 There are all sorts of rules and regulations when it comes to spraying Japanese knotweed. It is an offence not to follow the instructions on the label. It is an offence to use a product that is not approved. You have an obligation to prevent cross-contamination, so need to take precautions such as spraying when it's dry weather and there is no wind. The best time is in the spring and when they are under 1metre/3 feet high. If your plants are higher than this, you should cut them down first, dispose of them legally/properly, then wait until the plants have started to sprout again. In any case, the time to deal with it is March - October, during the months when it is growing. * Speak to the Environment Agency before buying/using these; you will need to have spoken to the EA to get permission in any case. 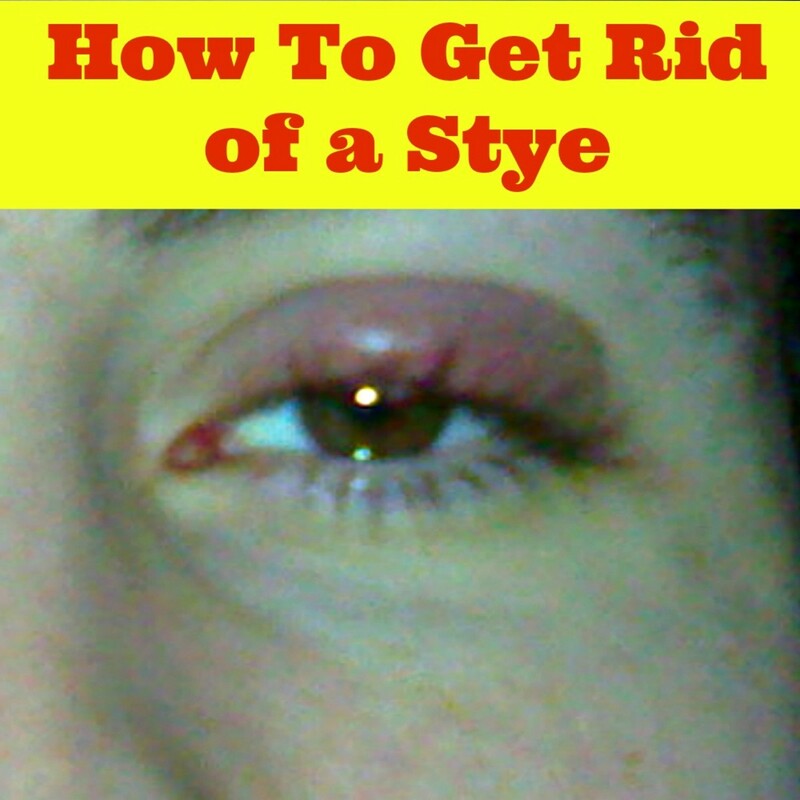 Probably the most successful way of getting rid of the roots is by injection. 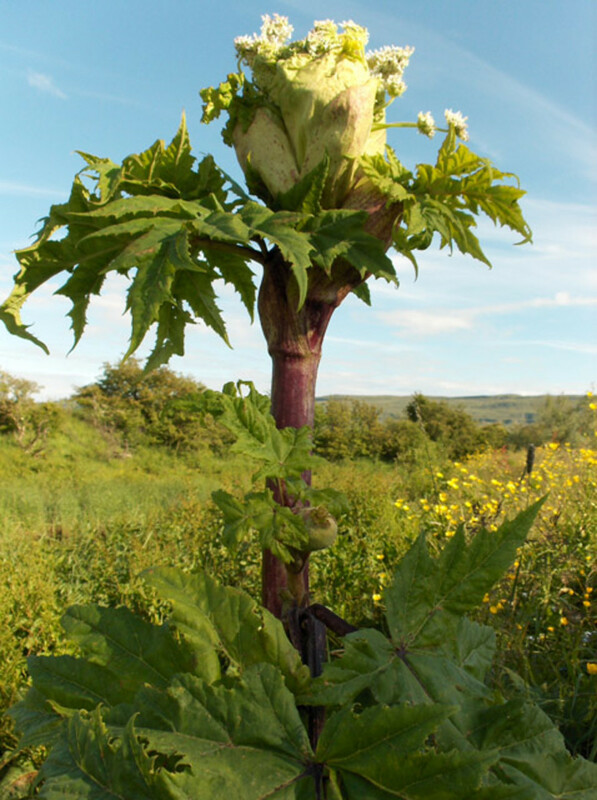 Injecting, in the autumn, ensures that the poison goes right down into the roots, killing it off. It might still take 2-3 years to achieve full eradication. To be effective, use the chemical glyphosate, in a concentrated form, and use a syringe to inject it directly into the stems in the autumn. During autumn months, the knotweed draws its sap back into the roots, deep underground. This means the chemical glycosphate is taken down into the root sections. It's really important that you get rid of Japanese knotweed properly because if you ever want to sell your house you might find your buyer can't get a mortgage because the house has the weed. As the weed spreads, more mortgage companies have become reluctant to lend. Although there are 1-2 national mortgage companies who will give a mortgage on a house with Japanese knotweed, they each have different rules about how far away from the house the weed needs to be, as well as other criteria such as proof that eradication has started and is under control. Only a mortgage broker with "whole of market" access would be able to advise you which companies would offer a mortgage, but if your buyer's just been turned down for a mortgage, it's already too late as many will simply walk away rather than own a problem house. "The Japanese Knotweed Manual" by Lois Child and Max Wade is recommended by most Councils in the UK. Praying that I don't get this is my garden - creeping wood sorrel is more than enough to cope with. It's proving impossible to iradicate it. There is a lot of knotweed in Edgeley, it's been in the newspapers. Luckily our garden is in the centre of the village, well away from his back garden! Japanese Knotwood is VERY invasive... it'll get to you soon unless you work out how to force him to deal with it. Check out the laws I've listed, see which he's breaking, then get onto it! I have a neighbour a few doors away whose ENTIRE GARDEN is filled with Japanese Knotweed! Aaaarrrgghh! This was useful and interesting information. 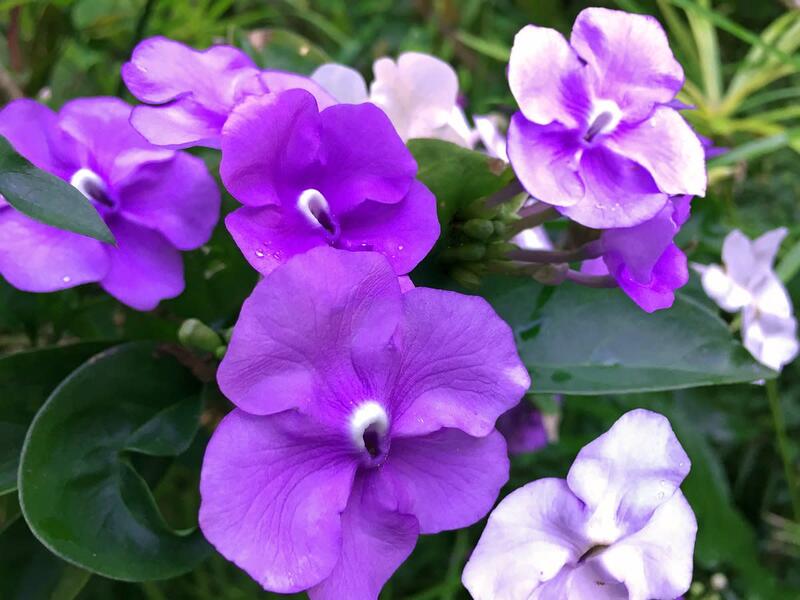 I did not know about this weed before and it looks like one tough weed to get rid of! Thank you for sharing this information with us. Voted up and sharing!